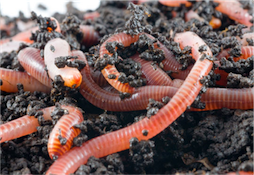 Earthworms are living waste disposal units and are efficient at processing organic waste and producing a “black gold” – vermin-compost. In the process worms increase crop yields and enhance soil health and fertility. Worm Wee” (Plantonic) contains most of the vital nutrients your plants need for optimal growth. 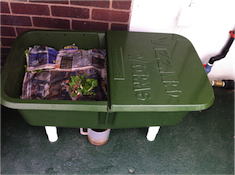 Worm farms help to dispose of organic waste, feed your plants and vegetables using the worms' natural excretions, and reduce costs while increasing yield.